Head injuries are common. Many people will experience a mild traumatic brain injury (TBI) – a concussion – at some point in their lives. Children and elderly people are particularly at risk for this type of injury. More severe traumatic brain injury is a contributing factor to about 30% of all injury deaths, according to the Centers for Disease Control and Prevention (CDC). Yet, many people don’t get help after a brain injury, and even fewer talk about it. March is Brain Injury Awareness Month. It is a good time to examine why such a common medical problem is so often ignored – and so little discussed. Brain injuries are often hidden. A TBI is not always obvious or accompanied by a physical head wound. An event that results in a head injury is inherently surprising: no one expects that they will be involved in a car crash, fall down the stairs, or be struck on the head. In contrast, the other physical injuries that often result from such an event are immediately obvious. For example, you are driving through an intersection and your car is side-swiped by a driver running a red light. Your leg gets smashed. Your head bounces between the seat and airbag. In this situation, your broken leg will take medical priority. The adrenaline that your brain releases after the collision may mask any other symptoms. Headaches, sleep difficulty, and emotional changes are fairly common in the aftermath of a traumatic event. But they can also be signs of a brain injury. Other signs, like changes in behavior, moods, or patterns of speech, are hard for a person to recognize in themselves. A partner, close friend, or family member would have to be paying careful attention over a period of time to see the signs of a brain injury. Unless a person is displaying immediate danger signs like slurred speech, seizures, or profound confusion, a TBI diagnosis may take weeks or even months. The injury event is burdensome. Dealing with the aftermath of an injury event is hard work. A seriously injured person needs to focus on recovery, but they also have to manage their medical care. Find the proper doctors. Make appointments. Attend treatments. Pick up prescriptions. Figure out what insurance will cover. It is exhaustive labor. The majority of head injuries that we see are the result of a serious car crash. In those situations, there is the added burdens of dealing with car insurance adjusters, police reports, claims forms, and repairing or replacing a car. Additionally, there’s the very real emotional burden that accompanies such events. The stigma of brain injury. No one wants to have a brain injury. And no one wants to be seen as having a brain injury, or at least of having any of the neurological and cognitive effects of one. This public stigma makes it harder to get help after a brain injury. Dr. Vanessa Padilla, an assistant professor at the University of Miami Miller School of Medicine, stresses the importance of outside intervention in brain injury recovery. Neuropsychological and psychiatric interventions, support groups, and physical rehabilitation are essential to facilitate recovery and improve quality of life. Understanding the severity of TBI, establishing goals, and following medical and psychiatric treatment recommendations are important elements of rehabilitation. It’s important for us all to be educated. If you or someone you love needs help after a brain injury, please consult with your doctors and contact a brain injury support organization. The Brain Injury Association of America has extensive resources for families and individuals living with traumatic brain injury. 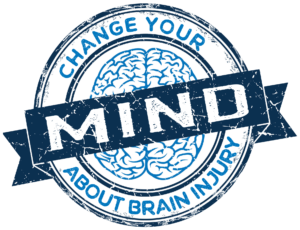 The Brain Injury Alliance of Oregon can assist Oregon residents with injury prevention, education, research, and support. The Brain Injury Alliance of Washington provides free services to individuals throughout Washington State. Kevin Coluccio is listed as a Preferred Attorney by the Brain Injury Association of America. Preferred Attorneys have demonstrated their knowledge of the physical, cognitive, emotional, and financial tolls a brain injury can inflict.